Sharon Hwang has lived a diverse life. She is a Colorado Native, born in Littleton. She pursued her undergraduate degree from CU Boulder in Urban Planning. Following graduation, she joined the Peace Corps and lived in Nepal for two years. After the Peace Corps, Sharon traveled through India and felt a calling to delve into the health and wellness field. She returned to Colorado, obtained a Masters of Arts Degree in Counseling and Psychotherapy from Regis University, all the while working as the Assistant Director for The Wild Oats Wellness Center. On March 1, 2001, Sharon jointly purchased The Wild Oats Wellness Center and converted it from a non-profit center to The Wellness Center, a for-profit wellness center dedicated to giving clients real results with their treatments. Sharon has been a strong community leader. 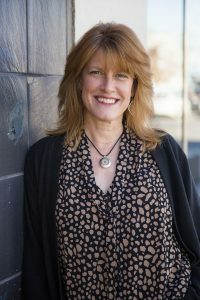 She has served as Vice President of NAWBO (the National Association of Women Business Owners), has been an active member of Cherry Creek and Glendale Chamber of Commerce, she is a current member of Good Business Colorado, and serves on the Leadership team for the Womxn’s March Denver 2019. Sharon is proud that The Wellness Center in Denver will be celebrating 18 years on March 1, 2019 and looks forward to many more years of serving the community. Kris first came to work with The Wellness Center as an HR analyst in the corporate world overseeing a health benefit for the employees she supported. That support turned into a desire to be more intentional, health-focused and engaged with the individuals she advocated for, so she made the leap to The Wellness Center as the Office Manager in 2002. In the many years since then, Kris has witnessed, experienced and learned so much about alternative healthcare! She’ll be the first to tell you there isn’t a week that goes by where she doesn’t learn something new. In early 2011, she took things to a new level by training with the Upledger Institute to become a CranioSacral Therapist (CST). This modality has opened up a new world for her…one that she is honored to share with family, friends and clients. In addition to photography, CST became her “zen” and she embraces both to help bring balance to her life. Kris feels incredibly blessed to navigate her way down this path of healing while keeping her feet grounded in her role as Director. She feels that she has the best of both worlds and relishes the opportunity to share more about either with you! Yosevine started her career with The Wellness Center in 2006. Over the years, she’s learned a lot about wellness and the many avenues available to further a person’s health goals. What she most loves about The Wellness Center is the wonderful, talented team that works with her. Despite changes in staff through the years, the philosophy and commitment of the people who have spent time here, is always consistent and genuine. Yosevine was born in Jakarta, Indonesia and her family moved to the United States with the goal of providing Yosevine and her sister with an opportunity to receive an education. They relocated to Denver when she was nine, so a large portion of her life has been spent here in Denver. Yosevine is an avid shopper, rivaled only by her husband’s love of clothes, and enjoys the variety of wonderful restaurants Denver has to offer.